Don't just remove your factory discharge chute. Replace it with the safe, efficient alternative preferred by professionals since 2000. This operator controlled discharge chute is rugged, simple and easy to use. 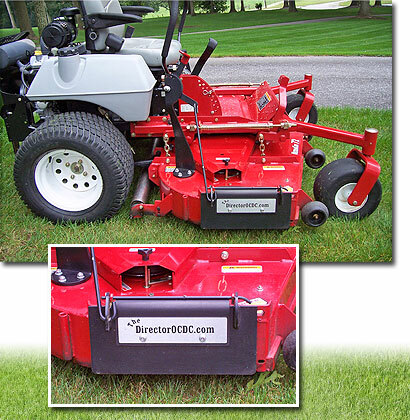 It increases safety while significantly reducing your mowing time. The Director OCDC is less expensive and more durable than other similar devices, including powered models. ©The Director OCDC. All rights reserved.